New Moon May 2014 signals a health crisis. As conscious sense of vulnerability, insecurity and weakness, will force you to address health concerns, physical, mental and behavioral. May 28 New Moon astrology points to a fresh start on a healthy path. The first two weeks of the New Moon Cycle, or the waxing phase, is the best time for setting new goals and starting the process. This New Moon goal is healing an imbalance by identifying and treating the illness. 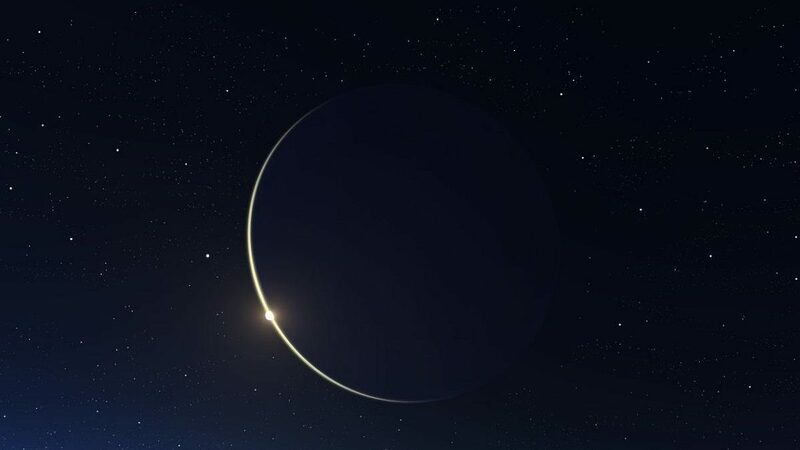 This is the first New Moon since the April 2014 Solar Eclipse. The May 2014 New moon is a stage of healing past sacrifice and suffering. Weakness, illness, or addiction, has been causing you and your loved ones to suffer. The New Moon focus on healing will relieve this suffering. 0°05′ Mercury sextile Venus lowers stress and brings harmony to relationships. The ability to sense how you feel helps identify the source of the imbalance. Honest and open communications with healers aids diagnosis and treatment. 0°09′ New Moon on Asteroid Hygeia at 7 Gemini. Associated with hygiene, medicine and healers, illness, toxins, operations, misdiagnosis and drug abuse. Hypochondria showing as fear of poisons, doctors and medical results. Hesitation to get checkups, and worry about the health of family and friends. 0°12′ New Moon square Neptune suggests worry, indecision, insecurity, mistrust and weakness. Associated with illness, infection, poisoning, addiction and sensitivity to drugs. 0°17′ New Moon on the Star Hyadum II brings depression, poisoning, fever and illness. Excessive or compulsive behavior could lead to sudden misfortune, injuries or violence. 1°02′ Jupiter trine Saturn is a determined and patient desire for personal growth. Chiron makes this a grand trine, promoting measured and practical steps to improve your health. 1°56′ Mars quincunx Neptune can cause insomnia due to nervousness, resulting in lethargy and low immunity. Sun trine Mars gives the physical strength and self-assertiveness to correct this health imbalance. 2°08′ New Moon trine Mars helps set new goals and favors direct action. Associated with good health and physical activity, it supplies the vitality, strength and courage to succeed. But Mars on the Star Vindemiatrix can bring fear of losing your partner, rashness and injuries. 2°13′ Uranus square Pluto is the dramatic transformation and evolution of your soul. Great interpretation Jamie! Makes it quite clear the goings on, thanks. I have been unwell for weeks and today found out I have a chest infection, hit the wall, crying, run down and trying to get some rest..had a healing shiatsu treatment on Weds… emotional purging and grief..and some evil anit-biotics… moon in 12th letting me have it! Hi Jamie! This is amazing… The last 2 years rocked my world which included divorce, bankruptcy, health issues from a head on collision and the death of my mother. Not to mention the little stuff in between. Yesterday, when I read your information about the new moon, I had just finished reflecting on how proud I was of myself for being so strong and having the ability to survive. I had just finished my last appointment with my neurologist and therapist and was thank full to God for all of his assistance. This is the end of a long crazy journey for myself and I am on a new path which will lead to even more healing and a new positive life. As someone who has a healer type of role in the healthcare field (a bodyworker with training in psychotherapy), I’m feeling this both personally and professionally- and quite noticeably in the past week. The new moon falls on my natal Chiron in the 8th/9th, which itself squares my Hygiea, is in a grand trine with natal Sun and Ascendant, and is the focal point of a Yod with Pluto and Neptune. Health crises among several people I am working with were apparent last week, all having to do with the polarity of freedom/restriction and the extent to which they identify with either end of the spectrum. It was interesting to observe how people reacted: some with denial, some with hostility! My personal health has been in the spotlight again, this time in the form of multiple joint problems in the past week, leaving me feeling quite unstable. Last week was also a high water mark for anxiety levels due to my reaction to the poor health of a friend combined with a period of exhaustive digging through my past in preparation for a retreat I am going on this week. Meditation (mental hygiene) and a good B complex (nutrition) have helped immensely. Thanks for pulling this together; it makes a lot of sense.